This Sayid-centric episode featured a flash-forward of our Iraqi friend some time after his return to civilization. A man approaches him while he’s playing golf and Sayid mentions that he was one of the survivors of Oceanic 815 and had received a large settlement, enabling him to afford expensive golf resorts without working. The news of who Sayid is shakes the man up, and apparently he had good reason as Sayid then pulls out a gun and shoots him dead. Back on the island, only three things happen of any real interest. One is that Sayid discovers a secret room in Ben’s house at the barracks. Inside, there is a plethora of outfits, suitcases and, in a draw, various currencies and passports. If this truly is a simulated world, one might wonder why this is here. My guess would be because it is not just a simulation of an island, but an entire world, and it is only the island that has strange properties. Just like any higher-level video game, the rules of the real world still apply and Ben may need passports to travel around this simulated world. If this were true, it may mean that the Oceanic Six have not in fact actually left the simulation at all, and are just in another part of it. Or, perhaps they have really gotten out, but Ben uses the passports just to travel in the simulated world, and not the world where they are in the flash-forwards. 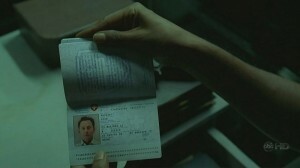 The other possibility is that Ben knew that the passports would be found. After all, Sayid found them pretty quickly. Perhaps Sayid was meant to find them so he could be fooled into thinking that Ben has this spy-identity that enables him to travel all over the world. Ben may have planned this so that Sayid would eventually work for him. Personally, I’m not crazy about any of these explanations, so for now, I’d say it is a flaw in the simulation theory. Still, we know that Ben is a very sneaky, manipulative guy. The passports may just all be a part of his brilliant plan. Of course, the writers are sneaky too. And this would not be the first time that a so-called clue has misled viewers for the purpose of a twist later on. The second interesting thing that happens on the island is when Daniel Faraday—one of the Freighties as they are being called—sets up a homing beacon and instructs a crewmember (Regina) on the freighter to send him a payload. Although she does so, it never comes. At least not when it’s supposed to. It eventually arrives over a half-hour later, and contains a clock inside. 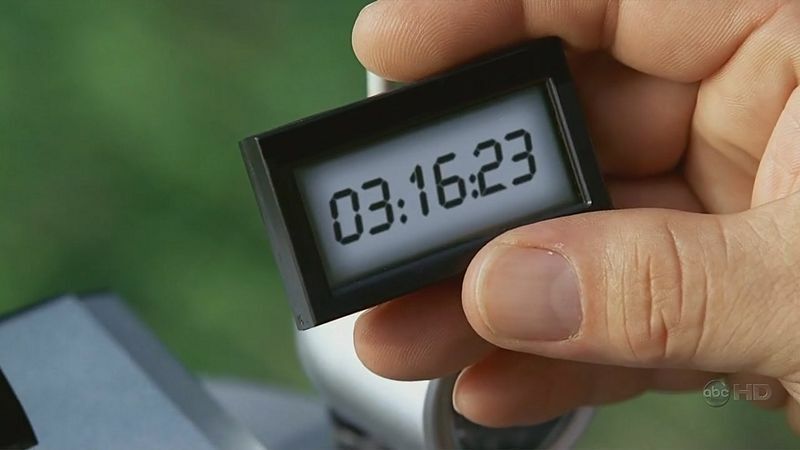 Interestingly, the clock—which we assume was synchronized with Daniel’s, is now ahead by 31 minutes and 20 seconds suggesting that the island is in some kind of time warp 30 minutes in the past, or that time moves at a different rate on the island. I think this makes perfect sense with the simulation theory. 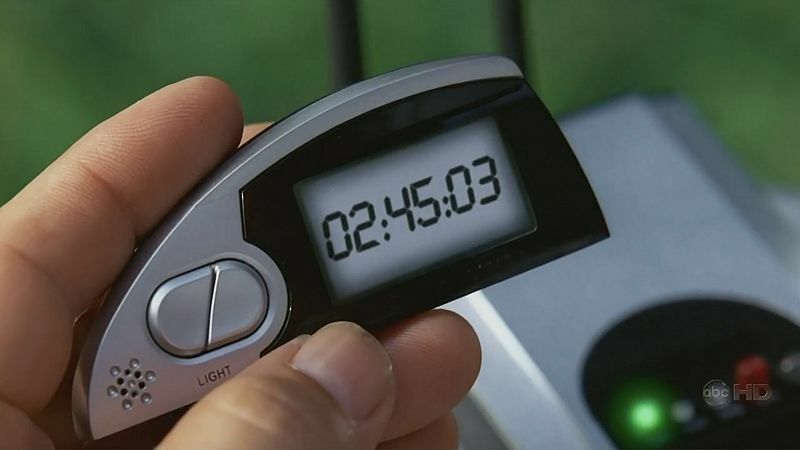 Just as how you could have a glitch with the clock in your computer that affects all of its programs (this was the reason for the Y2K scare), the island program probably has a glitch as well. 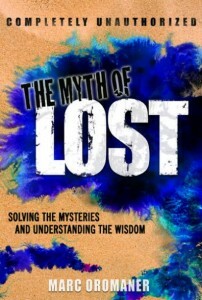 In fact, I’ve already stated this in The Myth of Lost and blame the infamous numbers as being a result of this glitch. The third thing of interest that happened on the island was Sayid noticing a silver bracelet on the dead Naomi’s wrist. 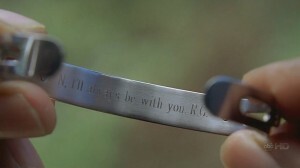 The bracelet had an inscription that read: “N, I’ll always be with you. R.G.” Who is R.G.? Could it be Horace Goodspeed with a nickname? Goodwin perhaps? A pseudonym for another character? With the hundreds of characters appearing on this show, it could be anyone, or even someone we haven’t met—someone like Regina, who is on the freighter. Perhaps RG is short for Regina, or the “G” is just her last name. Perhaps Naomi and Regina are lovers, or they are even the same person. In any case, the bracelet said that RG would always be with her and Regina is close by, so perhaps it’s her. Later, in Sayid’s flash-forward, he kills a woman he had begun to fall for by the name of Elsa, after she had shot him. He then notices a similar bracelet to the one Naomi had around her wrist. The writer’s have said that there was no connection. Perhaps the bracelet was only a memory trigger for Sayid, but who knows? The most interesting reveal to happen on the episode didn’t happen on the island at all, but in Sayid’s flash-forward. After being shot by Elsa, Sayid stumbles into a veterinarian’s office and begins having the bullets removed by an unseen character who is soon revealed to be Ben. Turns out it has been Ben who Sayid is working for. Why would Ben want these people to be killed? As someone who has developed a god-complex within the simulation, anyone in the outside world who would try to take it away from him would certain be a threat to his massive ego. Perhaps they have already forced him from the simulation and he wants it back and will do anything to get there. 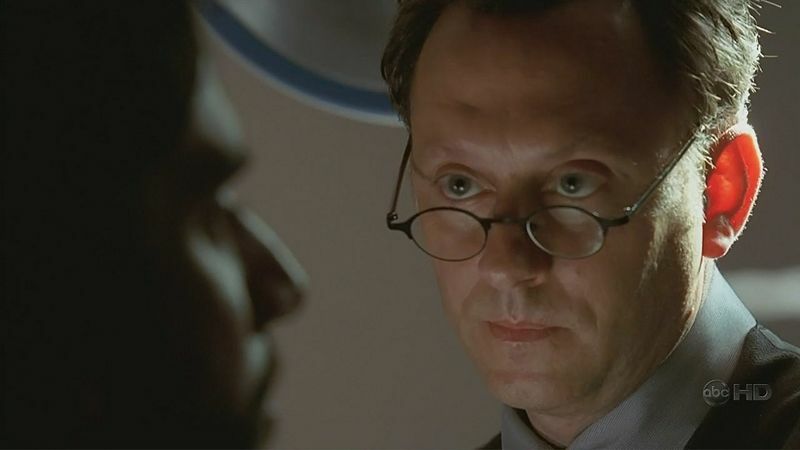 Ben has quite simply become mad with power and has taken Sayid on his journey for revenge. Since these people may be responsible for sticking Sayid in the simulation, possibly without his consent, he may also have a vested interest. More likely however, he’s just a pawn of Ben’s ignorant of the real reason he’s killing for him. In the outside world, Ben may or may not really be a veterinarian—it may be a front. But he’s obviously a doctor or surgeon. What we do know is that he has gotten off the island and presumably into the outside world. Knowing this, I now believe he will eventually be killed by one of his targets, and it will be set up to look like a suicide. I say this because I think that Ben is who is in the coffin that has Jack so upset. Because as I’ve said, he is the only one who knows how to get back to the island. If Ben were in the coffin, it would explain why Kate would have no intention of going and why no one would’ve shown up. While the teenage son part is a mystery, since Ben has always been full of lies, who knows what kind of alias life he led. With Ben dead, Jack would have no way of returning to the island, explaining why he was on the brink of suicide upon learning the news. The other possibility, is that Ben is the “Him” that Kate is referring to at the end of season three while she is meeting with Jack. When Ben said to Sayid in “The Economist,” “You do want to help your friends, don’t you?” he was most likely referring to the Oceanic Six. Perhaps he has all of them in his clutches, doing his bidding. Or, perhaps they are paying him back for doing them all a favor—getting them off the island. It is totally possible that Ben saved them from the Freighties. As I said in my book, we’ve only been led to believe that the Freighties will get the Oceanic Six off the island. Perhaps it was Ben who did it, and now they owe him for saving their lives. While I do think anything is possible with this show, I think Ben is more likely to be in the coffin, than to be Kate’s “him.” Still, he may have rescued them from the island. Either way can fit in with the theories I’ve laid out in the book. According to another theory in the book, Penelope Widmore’s father, Charles, has arranged for the freighter to come to the island. If this is true, which it very well may be, I think that Charles is the epithetical economist. He has been painted as a real bad guy. Probably the only worthy foil for Ben. The final point I’d like to make about this episode is that Sayid’s flashback provides more proof of the simulation theory. In being Ben’s hit man, Sayid, is back to being a killer—just as he was before coming to the island. We know from previous episodes that Hurley is back in a mental institution and Jack is back to being, well, mental. Since none of the Oceanic Six have cured their problems within the simulation and have left before they were ready, they have all regressed to the troubled people they were before entering. I expect that Kate, as well as Jin and Sun (my guess for the final two of the Oceanic Six), will run into the same issues. So far, only Charlie, who did get cured on the island, seems to be in good shape. Obviously, I’m on to something. If not a simulation, there still needs to be some explanation as to why these characters all have issues, and die on the island when they successfully resolve them. This theme is a metaphor for the world we live in, and is one of the reasons why Lost has resonated with so many people.